Zone Resources Inc. (CVE:ZNR) has retained Grandich Publications LLC to conduct investor relations and communications for one year for the Vancouver-based iron ore exploration company. While the announcement of a mining company's relationship with an IR firm is not normally news, in this case it is noteworthy because Grandich Publications is the publisher of The Grandich Letter, a well-respected mining investment commentary edited by Peter Grandich. The veteran Wall Street hedge fund manager and investment guru is known for predicting the 1987 Black Monday stock market crash, and is the author of "Confessions of a Wall Street Whiz Kid." Under terms of the agreement made public on Thursday, Zone will pay Grandich Publications $2500 a month, and will also grant 200,000 stock options. Zone Resources shares closed 21% higher on the news. 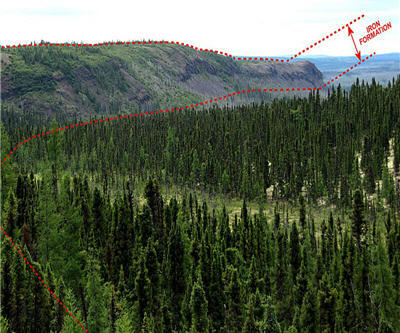 Zone Resources has four projects in the Labrador Iron Trough in the province of Quebec, Canada. The properties are near Adriana Resources' Lac Otelnuk Project and New Millennium's Kemag and Labmag projects. Historical drilling on the Moore-Ross property includes a significant hole grading 42.9% iron over 197 feet. Over 37 drill holes, the primary iron mineral is hematite and iron grades ranged from 17.25% to 44.8%.